Southampton midfielder Sofiane Boufal has been left out of the Morocco squad for this summer’s World Cup in Russia. The 24-year-old, a record signing when he joined Saints from Lille for £16m in 2016, has not played since 31 March following a dispute with manager Mark Hughes. 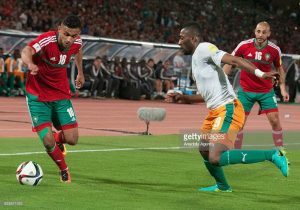 Wolves defender Romain Saiss is in a squad containing only three men from the main Moroccan league, the Botola. Morocco are in Group B in Russia alongside Iran, Portugal and Spain. The post World Cup 2018: Sofiane Boufal left out of Morocco squad appeared first on Citi Newsroom.